Synthetic plastic was invented in 1907 by Belgian-born chemist Leo Baekeland. Approximately 12 minutes later, factories were cranking out billions of plastic pots. Okay, so maybe our timeline isn’t totally accurate. But you get the point. Over the last century, plastic pots have become the dominant container in horticulture and gardening. Unfortunately, they’re not optimal for plant root growth. Plus, they have numerous other downsides. Let’s take a look at why fabric container gardening is the superior choice. Bisphenol A (BPA) is a chemical found in many plastics. While its effects on humans aren’t fully understood, it is a known endocrine disruptor with potentially serious health effects. BPA can leach from plastic containers and contaminate the material inside. For that reason, plastic baby bottles containing BPA have been banned by numerous countries, including the United States. Which begs the question: why would anyone grow food in containers made with BPA? If it leaches into the soil, it can be absorbed by the plant root structure and wind up in the finished crop. Some fabric pots — like Smart Pots — are 100% free of BPA, lead and other harmful contaminants. If you’re growing edible crops like fruits and vegetables, fabric pots will keep you safe from BPA. Every serious gardener knows the dangers of overwatering plants. It’s a surprisingly common mistake, and it’s exacerbated by plastic pots. Hard plastic allows water to pool within the container, causing root rot and inviting hard-to-kill pests. Fabric pots are constructed of permeable materials that let water flow right through the bottom of the pot. That means no pooling water, no overwatering and way fewer pests in your garden! Healthy roots are the foundation of healthy plants. And healthy plants are the key to bigger crops. 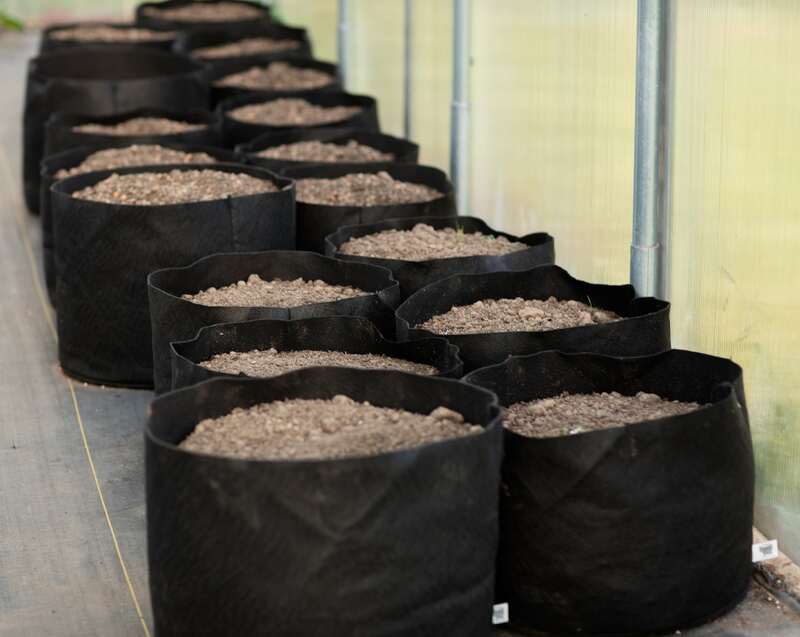 Fabric pots promote superior root growth through a process known as air pruning. When plant root growth reaches the edge of a plastic pot, it circles the container over and over, eventually becoming a tangled, unhealthy mass. 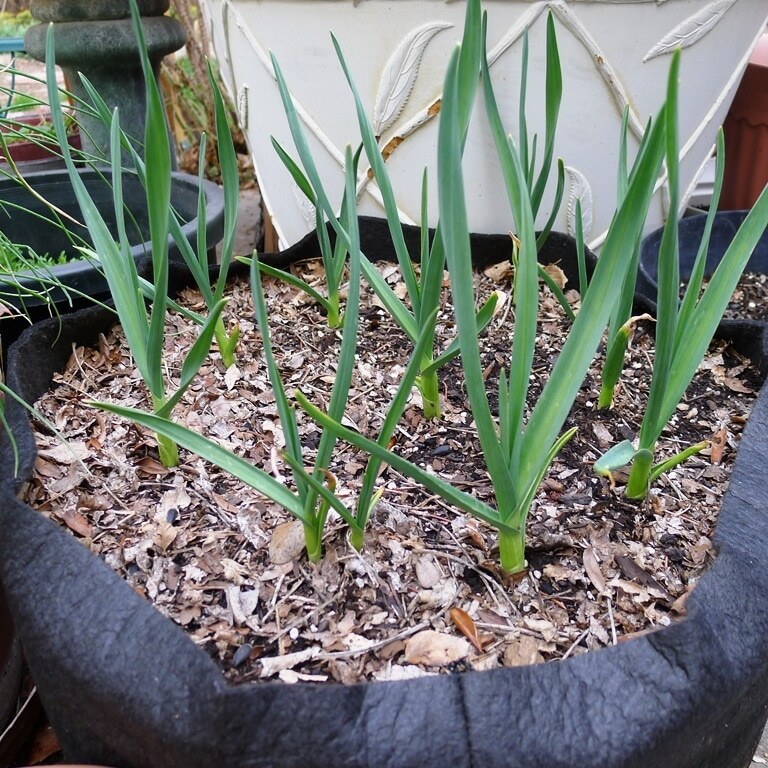 In fabric pots, roots are air pruned when they reach the edge of the container. To put it simply, the root tip dries out. So instead of circling, the root stops growing and produces new lateral root growth. The result is a network of fine, healthy roots that are optimal for absorbing nutrients and moisture from the soil. All those nutrients lead to bigger, healthier plants and greatly enhanced crop yields. After a few seasons, it’s not uncommon for plastic pots to show major wear and cracking. Durable fabric pots like Smart Pots endure year after year. They’re also lightweight, foldable and portable. If you’re considering fabric pots, it’s important to select a high-quality brand. Some pots are so thin they rip almost immediately. Other are so thick they don’t allow air and water to flow through the pot. Smart Pots deliver the best of both worlds. They’re thick enough not to rip, and just thin enough to allow air and moisture exchange. For the sake of argument, let’s say you’re growing organic tomatoes in a plastic pot. And let’s say you’re getting about 10 pounds of tomatoes per plant. Not bad right? But what if you could boost yields by 20-30%? At an average price of $4-$5 for organic tomatoes, that’s a gain of $12-$15. Per plant. Every year. Year after year. If you use your fabric pot for five growing seasons, you’ll dine on $48-$60 worth of EXTRA tomatoes from just one container. No wonder commercial growers see such extraordinary value in fabric containers. Plastic is one of the most ubiquitous pollutants on earth. It’s literally everywhere. In the oceans, deserts, forests, rivers, even Antarctica. It takes hundreds of years to decompose, but plastic has a darker secret. Over time, hard plastic breaks into smaller and smaller pieces. Eventually, it transforms into microscopic debris that causes widespread environmental contamination. Soil, water and the world food supply are all affected by plastic pollution. Unlike hard plastic pots, fabric pots are made from durable geotextiles that don’t degrade and cause environmental havoc. 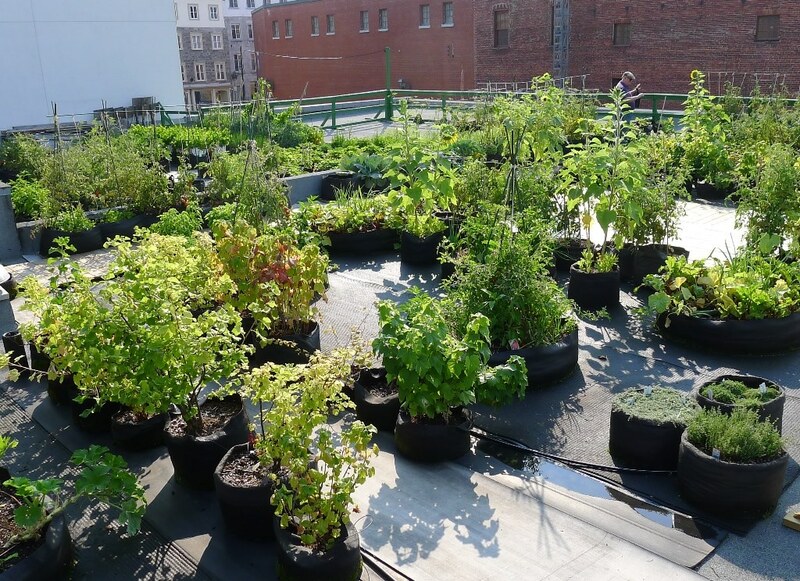 If you’re concerned about environmental health, fabric pots are definitely the way to go. In their day, plastic pots were a remarkable advance in horticulture. Cheap and lightweight, they were an attractive alternative to clay and ceramic containers. Today, fabric pots are pioneering a new era. By delivering superior crops and keeping harmful chemicals out the soil, they have become the new standard in garden containers. If you’re ready to fire up a fabric container garden, you’re making a great choice. Just be sure you recycle your old plastic containers. Because the last thing Antarctica needs… is more plastic.